Okay. This is just way too much fun! Create a simple template using one of Laura’s charming patterns, cut up some fabric, fuse it to a background and away you go. Choose your favorite pattern from this award-winning quilter and spend the day playing. Our sample is called Frieda Fox. 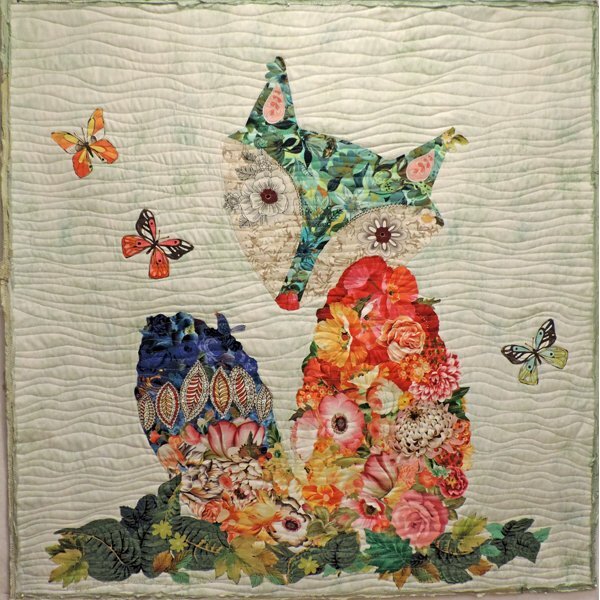 Mary will share some simple ways to quilt your piece. Traveling without your sewing machine? You won't need your machine in class! Make your top and quilt it later. Note: if your class is on a Sunday, even though the store opens at 11, the quilt side shop door will be open approx. 1/2 hour before the start of class. Come on in!